With the prevalence of Infocomm Technologies (ICT) across all industry sectors including finance, hospitality, manufacturing and healthcare, proper software engineering is critical to support the daily operations of many organisations. Software engineering covers the design, development, operation, analysis, maintenance and management of software in a holistic and systematic manner. Highly-Specialised: Other than developing the foundational knowledge required by any ICT professional, this programme will also cover all learning outcomes specified by the IEEE/ACM Joint Task Force on Computing Curricula for Software Engineering. Key subjects in the areas of secured software development, mobile computing, cloud architecture solutions and big data analytics which are in high demand will also be covered. 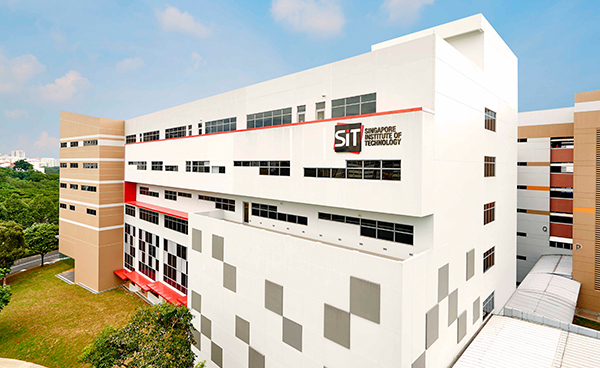 Industry-focussed: Partnerships will be forged with key industry majors to support the curriculum through the sharing of state-of-the-art technologies, expertise and resources. Students may have the opportunity to gain internationally-recognised industry certifications as part of the programme. Practice-Oriented: Emphasis will be placed on advancing academic knowledge through the use of practical hands-on training to solve real-world problems. Students will participate in the Integrated Work Study Programme (IWSP) in their final year. Students will be on a structured year-long work placement that is integrated with flip classroom teaching and an industry focussed capstone project. This programme will provide graduates with the required academic knowledge and professional skillsets for generic ICT job opportunities and specialist software engineering jobs such as Software and Applications Manager; Software Systems Architect; IT Service Manager; Information Technology Project Manager; Software, Web and Multimedia Developer; and Cloud Solutions Architect. Subject to approval, applicants may be granted exemptions for up to 10 modules based on the modules taken during their diploma course. Exemptions may also be considered for relevant professional or industrial certifications. Human-Computer Interaction (HCI) is the study of how humans use computers, and design methods and implementation of computer systems to ensure ease of learning and usage. This module introduces fundamental methods, principles and tools for designing, programming and testing human-centric systems. Topics covered include usability and affordances, metaphors and conceptual models, human cognitive psychology, evaluation techniques and user interface software tools. Recent topics in HCI are also reviewed, including mobile interfaces, new gesture-based interactions and augmented reality. Information Management (IM) is primarily concerned with the representation, organization, and presentation of information. This includes methods for efficient access and update of data, data modelling and abstraction, and file storage techniques. Topics covered include relational database concepts, query languages, ACID properties, indexing and transaction processing. Recent developments in distributed databases, semi-structured and non-relational key-value and flexible model databases will also be explored. Practical aspects of database design and programming will be done using a combination of PHP and MySQL. Embedded systems are devices where the computing capabilities are embedded and may not be apparent to its users. Examples of embedded systems include digital wristwatches, MP3 players or even the Electronic-Control Unit (ECU) of the modern automobile. Computing capabilities in such devices are usually provided by microcontrollers (MCU). This module will introduce the student to the architecture and subsystems of embedded systems, microcontroller interfacing, memory maps, real-time operating systems (RTOS), typical embedded peripherals such as input/output (I/O) ports, timer, serial communication, support for interrupts, programming of the microcontroller and modern tools for embedded systems development. It will also review the concepts covered in the ICT foundations courses (e.g. ICT1003) and demonstrate the relevance between generic theoretical concepts and the applied embedded systems. Mobile devices such as smartphones and tablets have become the most common methods of access to computing and information services. This course will cover the fundamental programming principles, software architecture, user-interface considerations and resource constraints for a mobile environment. The course aims to enhance understanding of the multi-faceted nature of mobile programming and amalgamates knowledge from foundational courses pertaining to computer networks, databases, operating systems and object-oriented programming. Software design is concerned with issues, techniques, strategies, representations, and patterns used to determine how to implement a component or a system. The design will conform to functional requirements as well as non-functional requirements such as resource, performance, reliability and security. This module focuses on techniques for software design in the context of large and complex software systems. Topics include software architecture, design principles (information hiding, cohesion and coupling), design notations, evaluation methods and their associated software tools. The course introduces more advanced design notations and concepts. Several design methods are presented and compared, with accompanying examples and case studies. An emphasis will be on placed on the application of design principles and evaluation of their trade-offs to the creation of successful software. Software applications need not be executed as a singular program on a single computer, but can be executed across multiple computers across a network to accomplish a common objective. This module extends the earlier “Web Systems and Technologies” module and cover in depth advance technical concepts of distributed systems including client-server, peer-to-peer, grid and cloud computing. Student will also be exposed to the concepts of virtualisation and their deployments. During the course of this module, students may also have the opportunity to develop programs utilising cloud services provided by Microsoft Azure and Amazon Web-services to further expand their practical skills. This module focuses on the early phases of the software lifecycle, namely Requirement specification and Analysis of software specifications. It covers fundamental concepts and techniques involved in gathering, specification and analysis of software requirements. Principles of software modelling are introduced and different types of semi-formal and formal methods of modelling and analysis are discussed and practiced in detail; covering both Classical and Object Oriented approaches to specification analysis. CASE tools are introduced and the application of validation and testing early in the software life cycle are emphasized. Fundamental software engineering economics e.g. software cost estimation are also introduced. Software verification and validation uses both static and dynamic techniques of system checking to ensure that the resulting program satisfies its specification, and that the implemented program meets the expectations of the stakeholders. Static techniques are concerned with the analysis and checking of system representations throughout all stages of the software life cycle, while dynamic techniques involve only the implemented system. This module will introduce the students to the various software performance testing methodologies for different software systems under varying load, stress and scales. Application profiling techniques include performance profiling and memory profiling and supporting tools will also be introduced to equip students with the ability to look for potential system bottlenecks during development which can reduce the number of problems that might show up later when the application is stressed. Students will also be able to perform benchmarking for enterprise systems and recommend improvements that will optimise the operations of the system. This module will also enable students to understand the various trade-offs (e.g. associated risk including cost, stability, etc.) during software optimisation. In-depth algorithms optimisation utilising the basic concepts covered in ICT1008 (Data Structures and Algorithms) will also be discussed to expose the students to optimisation at different levels of the system. Performance anti-patterns will be explored to familiarize students with various practices in the industry. Software management is concerned with knowledge about the planning, organization, and monitoring of all software life-cycle phases. Management is critical to ensure that software development projects are appropriate to an organization, work in different organizational units is coordinated, software versions and configurations are maintained, resources are available when necessary, project work is divided appropriately, communication is facilitated, and progress is accurately charted. This module focuses on methods, techniques, processes and CASE tools needed for software management using current best practices. Topics include life cycle software models highlighting the differences between agile and traditional methods, software project management from planning, estimation, scheduling to project monitoring, team communication and process improvement through various measurements. Fundamental concepts and techniques in software engineering economics are also introduced. Students will learn about various decision analysis techniques under resource-limited situations and be able to use the relevant technique to solve the most critical decision making problem in a software project which is cost estimation. The module also covers configuration management which is an essential activity that benefits project management, development and many other areas in the software development life cycle. Students will develop a management plan for a software project.